Inactivated vaccine against neonatal and post-weaning diarrhea in piglets caused by Escherichia coli and Clostridium perfringens type C.
Each dose contains inactivated E. coli strains and Cl. perfringens type C toxoid. E. coli strains assure protection against K88, K99, F41 and P987 fimbrial antigens, toxoids of (LT) thermolabile toxin, (STa) thermostable toxin, (VT) verotoxin and (Hly) haemolysin. 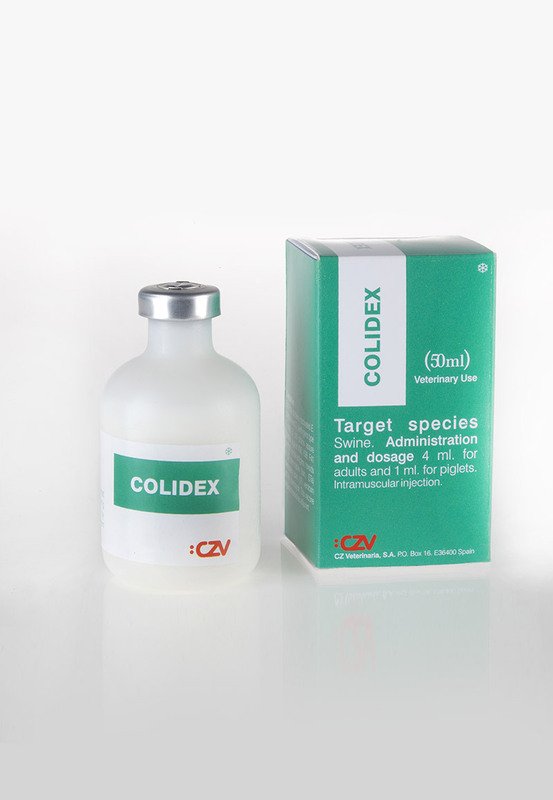 This vaccine contains mineral oil as adjuvant. Dose 4 ml for adults and 1 ml for piglets. Primary vaccination Administer 2 doses with at 3 week interval, starting 7 weeks before parturition. Revaccination A single boosting dose 4 weeks before parturition. Administer a 1st dose of 0,5 ml at 1O days of age, and a 2nd dose of 1 ml after weaning.